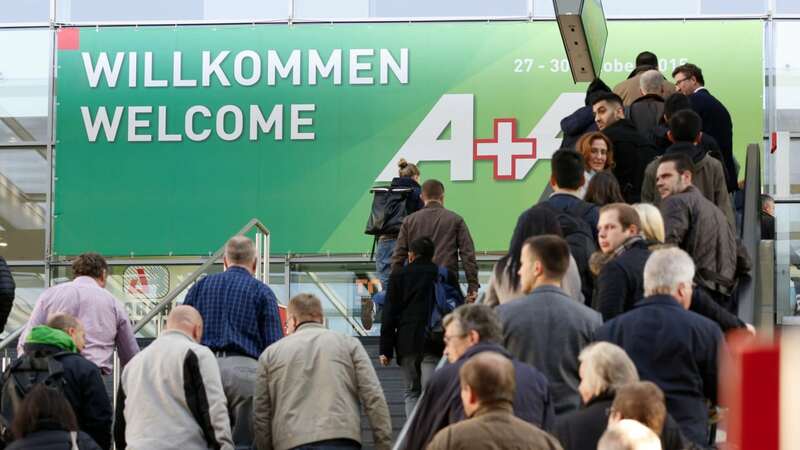 Casella is dedicated to reducing occupational health and environmental risks and is exhibiting its key monitoring device range at the A+A show from 17th-20th October in Dusseldorf, Germany (Hall 6, Stand J58). A selection of monitoring solutions will be on display: the Apex2, the Microdust Pro, the range of sound level meters, the dBadge2 and the Guardian2, providing an opportunity for those attending the show to learn why monitoring is an essential tool in measuring workplace exposures. The Apex2 is a personal dust sampling pump that is bodily worn, monitoring individual exposure effectively to ensure workers are not exposed to potentially harmful airborne hazards. It also has Bluetooth connectivity, enabling the pump to be monitored remotely and data to be emailed alongside photos and notes, through Casella’s Airwave App, the only App of its kind in the world providing remote access of personal sampling pumps and noise dosimeters. Connecting to the app allows data to be monitored from one central platform, giving users the ability to pause or stop measurements, monitor battery life and memory capacity, whilst checking measurement progress direct from a mobile device without disturbing the wearer. Casella’s Microdust Pro is a hand held real-time monitor, used to detect airborne dusts, fumes and aerosols. This device can be used for spot checks and walk-through surveys of the workplace, measuring direct readings of real-time data. With a unique removable sampling probe, the device detects the total level of dust in the air and can be used in conjunction with a personal sampling pump and gravimetric adaptor. A rugged design means the monitor is suitable for a number of harsh environments, measuring dust concentrations up to 25g/m3. Information collected by the device can also be downloaded into a computer, highlighting when excessive dust levels are occurring. The compact dBadge2 personal sound monitor works within a typical 25 metre range of its linked smart device, allowing measurement with minimal disruption to employees. It has a built-in motion sensor, registering the amount of time that it has been worn - or not - to validate the measurement data. Due to its cable-free design, weighing only 117 grams and the ability to be interrogated remotely by the Airwave App, Casella has reduced the likelihood of workers removing the device by making it unobtrusive and comfortable to wear. Casella have a range of sound level meters available for workplace and environmental noise monitoring. These hand-held devices are quick and easy to use, collecting results designed for the measurement of all workplace noise parameters including assessments, surveys, and the selection of hearing protection. With adjustable settings, according to the type of noise being assessed, employers can calculate an accurate record of daily exposure. When using a sound level meter, measurements must be started at the beginning of a task, representing workers’ actual exposure.